Deciding to move from the sciences to the humanities as a graduate student is not necessarily common or easy, especially for disciplines as substantively and methodologically distant as physics and medieval studies. For graduate students Jill Bjerke and Luke Chambers, the attraction of medieval studies—the fascinating history of iconic kings and queens, the adventure of medieval romances and epics—was a force too strong to resist. Jill, who earned her M.S. in Physics from Wake Forest University, had been interested in the Middle Ages and historical fiction since she was a child. During her master’s program, she happened upon the brochure for the International Congress on Medieval Studies, a massive conference held every year in Kalamazoo (of all places!) and hosted by WMU’s Medieval Institute. Fascinated by the hundreds of sessions on topics ranging from ale-brewing and iron-smelting to semiotics, gender theory, and medievalism in gaming culture, Jill decided to give the conference a go. During her first visit to Congress, she attended a session on Angevin and Plantagenet warfare, and watched as the room erupted in a debate over medieval military tactics. The experience turned out to be a decisive one for Jill. Watching these scholars argue passionately with each other over 700 year-old warfare made her realize that, yes, people do this for a living, and that she could as well. Jill too concedes that there’s quite a disciplinary distance between her original research in Physics (nanotechnology and materials science) and her current work in Medieval Studies. However, she hopes that classes in paleography (the study of ancient writing) will help her to bridge the two disciplines. A mix of history and science, paleography presents the opportunity to study manuscripts and “the materials background of writing,” according to Jill. 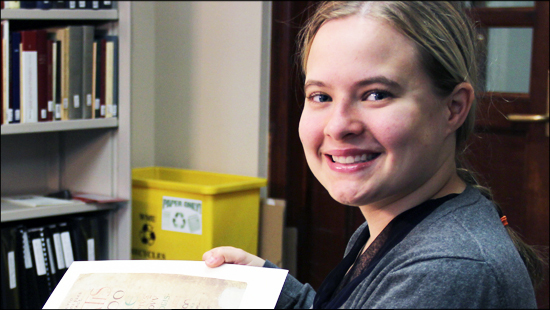 She says she’s often been curious about putting manuscripts under the microscope in the same way that she studied the composition of steel in her master’s program, yet doing so would involve cutting the medieval vellum, destroying the manuscript and losing a rare and tangible piece of history. Making the transition from a scientific field to the humanities, Jill feels that the greatest challenges have been an increased reading load and acquainting herself with a new discipline’s writing style. Learning to write for the humanities, Jill says, “you have to pay attention to word choice, sentence structure, style… writing for the sciences is much more succinct, clear, and simple.” Luke agrees, describing different methods of persuasion in each field: style and rhetoric vs. reporting data and interpretation. Jill says that her focus now is on the writing process and establishing a voice as a historian, a much different task than writing in the sciences. As for her new reading load, she feels like she’s gone back to the beginning of school—a “new school,” as she puts it—and since the character of her work has changed so drastically, she’s not burned out yet. Likewise, though Luke acknowledges that graduate study is a considerable commitment of time and resources, he chose to pursue his interests in medieval languages and literatures at Western because “you can’t learn as much as you’d like to learn about old languages as an undergrad,” and, as he observes, “if you want to understand the past, you have to be able to read the languages of those cultures.” As he explains, the history of language and literature tells us a great deal about our own culture: “Old English is the source of our own language, and Old Norse had a strong influence on English culture and language as well, due to their common mythology and the history of the Danish invasions of England.” Luke’s own research interests reveal the intersections of language, text, and culture. His Master’s thesis will explore the classical source material for the 13th-century Icelandic Trójumanna saga (Saga of the Troy-men), a text which adapts and recombines material from the Latin matter of Troy as well as Ovid’s Heroides. 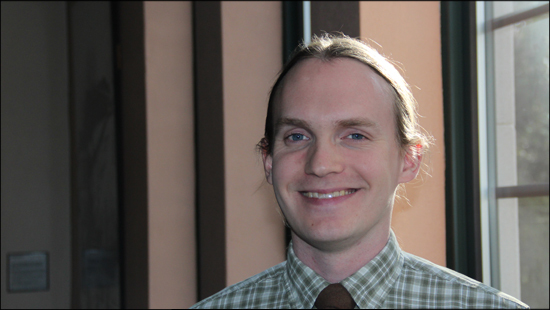 In addition to his research in Germanic languages and literatures, Luke, a third-year Master’s student, is also one of the Medieval Institute’s graduate instructors for MDVL 1450: “Heroes and Villains” of the Middle Ages. Now in the second year of her M.A. in Medieval Studies, Jill balances a full workload of courses, as well as working as a graduate instructor for MDVL 1450. Last year, her classes ranged from classical and medieval Latin to medieval “Art and Devotion” to a course on the “Rulers and Regions” of France, England, and the Low Countries. The last of these classes provided another decisive moment for Jill, when she realized that every text on the syllabus for “Rulers and Regions” was one that she would have picked up on her own. Her lifelong love of history and enthusiasm for this course material gave her the knowledge that, despite the fact that she doesn’t have an academic background in history, she’s not a “fish out of water” here and that her decision to change fields was a good one. Her current research interests center on Richard the Lionheart and his political career, including his involvement in the Crusades. Jill speaks passionately about Richard, his mother, Eleanor of Aquitaine, and his global wanderings: “Richard I is everywhere. He’s King of England, yet has extensive holdings in France. On Crusade he goes to Sicily, Cyprus and the Holy Land and gets captured by the Duke of Austria on the way home. He’s a gateway into many regions of medieval Europe. And, of course, he turns up in the Robin Hood legends as well!” Jill’s excitement about this legendary king and her field makes it clear that, whatever she may have sacrificed in her disciplinary shift, it’s been worth it to her. 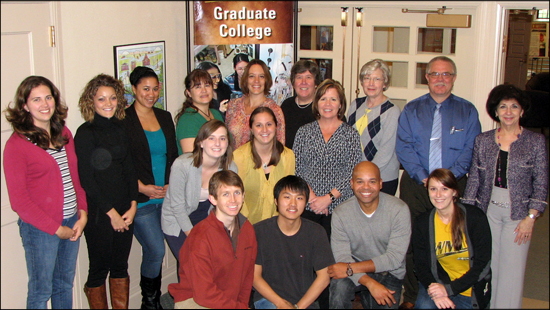 The Institute currently enrolls 22 graduate students, each with widely varied research interests. In addition to Jill’s and Luke’s research in late medieval English history and Germanic languages, our medievalists are interested in topics including monasticism and anchoritism; medieval Bohemia and Central Europe; women, peasants, and Islam in the Byzantine Empire; medieval and Renaissance drama; and medieval economies, among other areas. In addition to physics and mathematics, our current students have undergraduate backgrounds in philosophy, history, varied languages and literatures, music education, film, international relations, political science, psychology, and classics. With graduate students coming from far afield to pursue their research passions at the Medieval Institute, and graduate instructors sharing their lifelong “medieval fascinations” with students, it seems that Medieval Studies is in good hands at WMU. WMU’s Medieval Institute (LINK: www.wmich.edu/medieval) is known worldwide as the home of the International Congress on Medieval Studies (LINK: http://www.wmich.edu/medieval/congress/index.html) , which brings thousands of medievalists to Kalamazoo every May, and offers a Master’s program in Medieval Studies (LINK: http://www.wmich.edu/medieval/academics/ma-program.html]. The program is also well known for its Richard Rawlinson Center for Anglo-Saxon Studies (LINK: http://www.wmich.edu/medieval/research/rawl/index.html) , and houses Medieval Institute Publications (LINK: http://www.wmich.edu/medieval/mip/index.html) . The Institute has over thirty affiliated faculty members from the departments of English, History, Theatre, Comparative Religion, Japanese, Spanish, Classics, German, Art, Music, and University Libraries. 2003 Distinguished Alumni Dr. Antonio R. Flores, M.A. 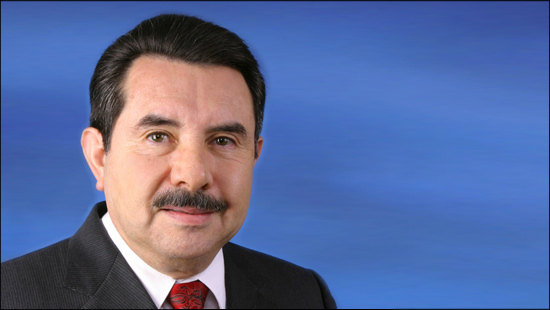 1977, President and CEO of the Hispanic Association of Colleges and Universities (HACU), traveled to Michigan with his bachelor’s degrees in business administration from Universidad de Guadalajara and in elementary education from Centro Normal Regional, Mexico in the mid-seventies. 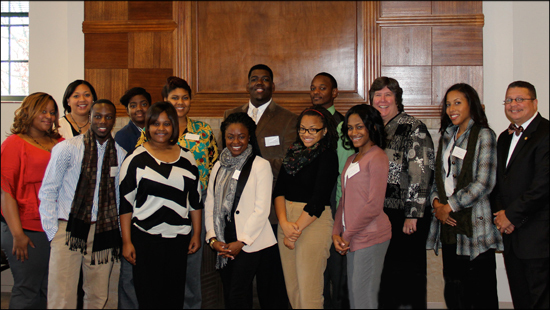 When he first came to Michigan, he was director of the Upward Bound program at Hope College in Holland. He characterizes himself as “very green” and says he didn’t know very much English and found the U.S. educational system challenging, though he was working in academia. The head counselor at Holland High School suggested to him that Western Michigan University had an excellent program in Counselor Education and Personnel (now Counselor Education and Counseling Psychology). He decided to try it to become more familiar with higher educational practices and counseling skills which he needed for his job working with needy youth. He found that the program, faculty and students were a tremendous help to him in developing his communication and counseling skills. 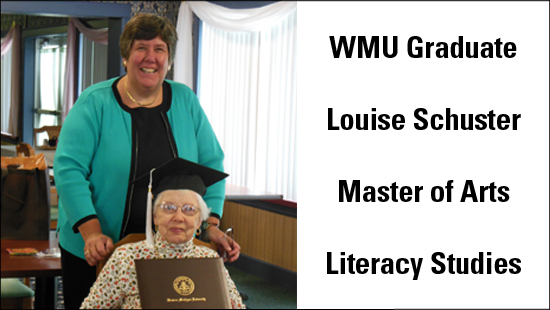 He drove from Holland to Kalamazoo for every class, and completed his master’s degree while working full time for Upward Bound. He found that the skills and knowledge he was acquiring while at Western were applicable every day in his job, so he learned very quickly, improving his skills and his job performance daily. According to Dr. Flores, it was not the typical student experience, as he was working full time and commuting, but he got so much out of it that he felt it was very valuable. Dr. Flores went on to earn his Ph.D. in higher education administration from University of Michigan and holds the prestigious position of President and CEO of the Hispanic Association of Colleges and Universities, which represents more than 400 colleges and universities that are committed to Hispanic higher education success in the United States, Puerto Rico, Latin America, Spain and Portugal. In 2012 he marked his 16th anniversary in this position, and is very highly regarded by his peers. The editors of Hispanic Engineer & Information Technology magazine chose him over hundreds of candidates in government, academia, and the corporate world as one of the “50 Most Important Hispanics in Business and Technology.” Hispanic Business Magazine named him one of the “100 Most Influential Hispanics in the United States.” He has also received numerous awards for leadership and advocacy for higher education access, equity, and success for Hispanics, the nation’s youngest and fastest growing minority. Dr. Flores has also chaired the Hispanic Association on Corporate Responsibility (HACR), which is a coalition of the most prominent Hispanic organizations promoting Hispanic leadership initiatives and the equitable representation of Hispanics in corporate America. Along with his many other accomplishments, he is also chair of the ¡Adelante! U.S. Education Leadership Fund. This organization offers leadership and professional career development training to top Hispanic college students. Another initiative of which Dr. Flores is a founding leader is the Alliance for Equity in Higher Education. This is the nation’s first unified voice for the college and career development needs of minority college students and the capacity building requirements of Minority-Serving Institutions. 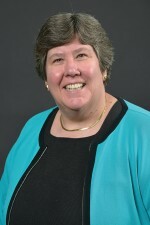 Dr. Flores also serves on national government boards, including the Homeland Security Academic Advisory Council, the State Department’s 100 Thousand Strong Initiative with China, the 100 Thousand Strong Initiative with Latin America and the Caribbean, and the US Intelligence Community Advisory Council on Diversity and Inclusion. Students still request hard copies of information! As we sort through requests from recruitment events and answer phone and e-mail inquiries from prospective local, national and international graduate students, we find that many would prefer to have something in writing sent to them rather than look it up online. This is especially true of non-traditional students or students who do not have access to reliable online service or computers.